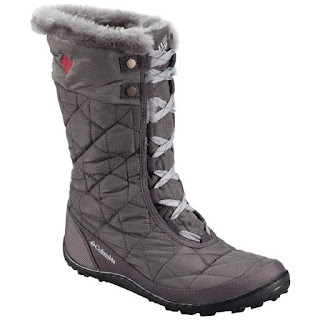 These Women's Minx™ Mid II Omni-Heat™ Boot are AMAZING...I LOVE mine! You'll be proud to put your feet up near the fire at the lodge in this charmer of a boot. Waterproof, woven synthetic textile with jacket-like baffling and faux-fur at collar and tongue make a fashion statement while 200g's of insulation, heat-trapping reflective lining, and advanced traction outsole take care of business.